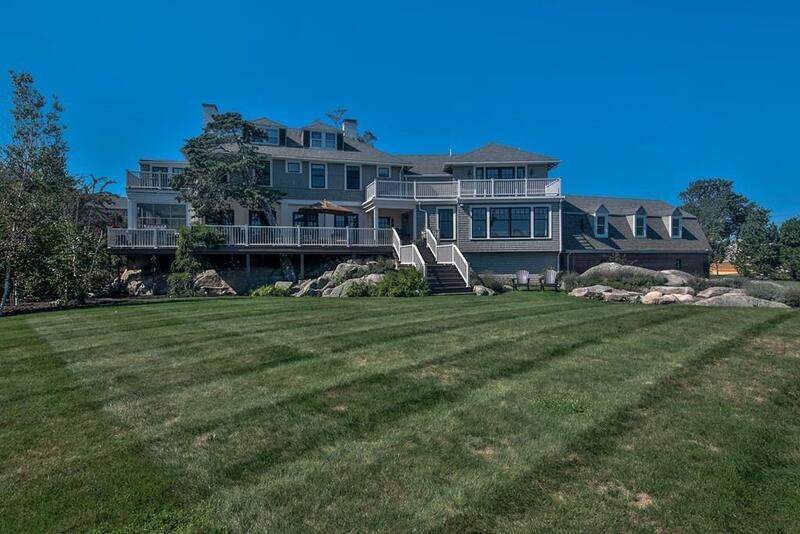 Located on one of Cohassetâs coveted private drives on Oceanâs edge. This stunning residence is the epitome of timeless elegance thoughtfully designed for todayâs lifestyle. Double fireplaced living room on one side and sun-filled kitchen/ family room plus media/game room on the other, perfect for entertaining on a grand or intimate scale. Spectacular water views from the first floor and especially from the deck along with a fire pit. The home has been totally redone meticulously with great detail including a Faneuil custom kitchen design complete with top of the line appliances. The second floor boasts a large Master suite with breathtaking ocean views and a spectacular second floor deck. Three additional great size bedrooms and two baths complete the second floor all with great views. Lower level has Au Pair/exercise suite complete with a kitchenette which leads right into the 4 car garage. Deeded beach right with the property. A Must See!